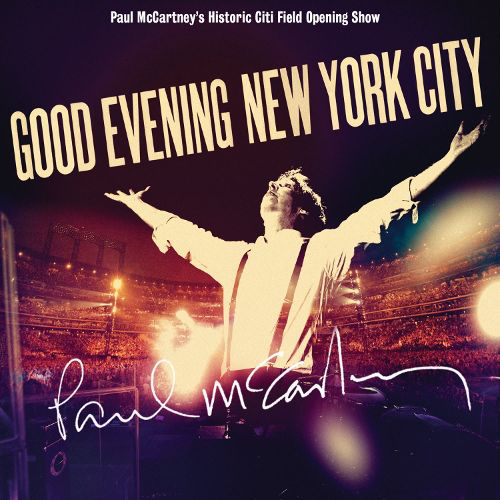 This is the best of the Paul McCartney live albums. The sound quality is excellent throughout - full, deep and bassy, as a live gig should be. The set list is superb - going on for a good two hours - and is a pleasing mix of later period solo songs, Wings classics and Beatles crowd-pleasers, plus a few rarities thrown in. Very much like David Bowie's "Reality" concert from 2003. In the rarities category are Beatles songs "Blackbird", "I'm Down" and "I've Got A Feeling", from "Let It Be". 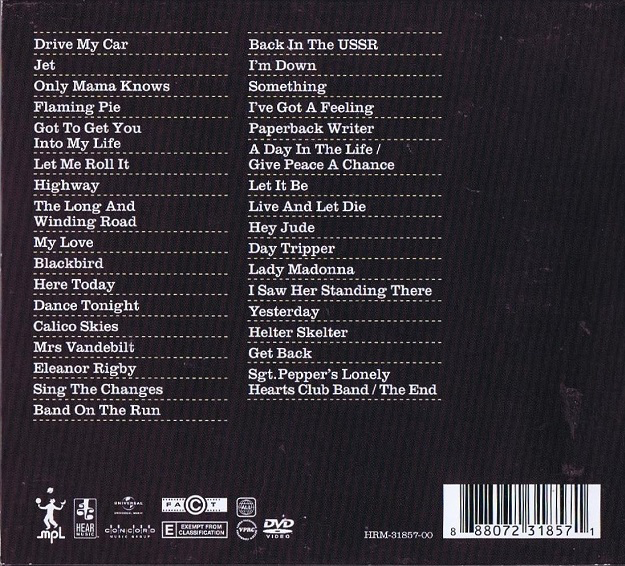 It is good to hear "Helter Skelter" and "Back In The USSR" as well. From Wings, "Let Me Roll It" is always a muscular, energetic pleasure to experience and "Mrs Vandebilt" gets an airing. "Only Mama Knows", "Dance Tonight", "Sing The Changes" and "Flaming Pie" are recent-ish solo songs that transfer well to live performances. "Highway" from "The Fireman" is a big, thumping rock number that sounds great too. McCartney's band is bang on the money throughout. The bass solo at the end of "Hey Jude" is sublime. A shout out for McCartney at the piano for "The Long And Winding Road" and "My Love" too. The CD recording leaves out the introductory chat/"banter" before the songs, and I prefer that, although I know some like it left in, feeling it adds to the concert experience. Personally, I just want to listen to the music. The DVD is really impressive too, although McCartney's afore-mentioned "banter" is a bit cheesy (aren't they all guilty of this though?). The picture quality is top notch and the sound is good, although it is better on the CD (as is always the case). a pity one cannot sync the film with the CD sound.